Live five piece band, playing music from the 1960's to the present day. 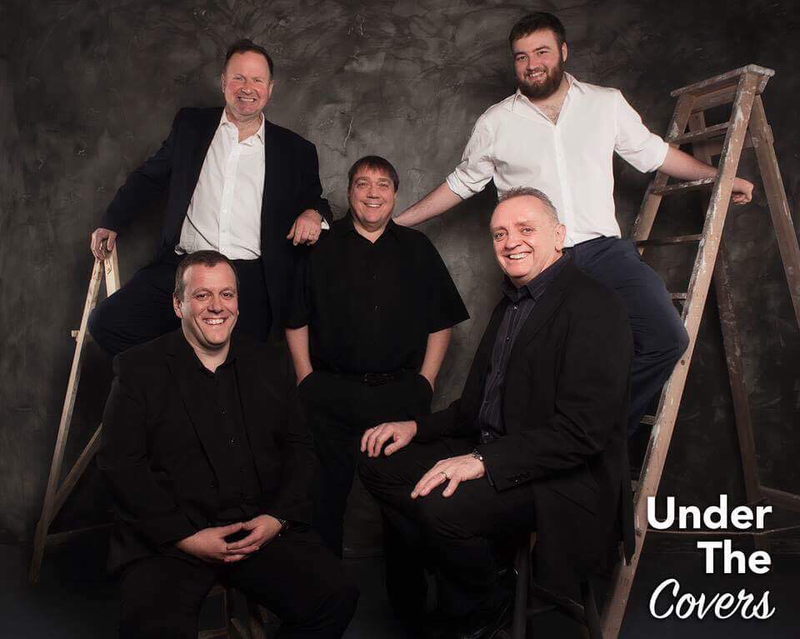 UNDER THE COVERS are a vastly experienced and professional live five piece band from South Wales. We play music that everyone will know and enjoy, and you can be assured that your special night will be a night to remember and enjoyed by all who attend. Our music runs from the 1960's right through to the present day, from lively Rock and Roll to smooth ballads, all of which you will want to sing along to, or get up and dance to. All of our bookings come from word of mouth recommendation or purely on our reputation, as we dont use an agent. Under the covers are extremely professional in what they do and can be relied upon to make your night a very special occassion. We specialise in weddings, private parties, dinner dances and corporate functions. No venue too big or too small . We have performed in Private houses, pubs and hotels including the Celtic Manor Resort Hotel, Newport. If you have been to an Under the Covers gig and have some feedback or any photographs, please use the contact page so we can add them to our site. Please give me a call to discuss bookings.